Lincoln REALTORS® are committed to giving back to the community. 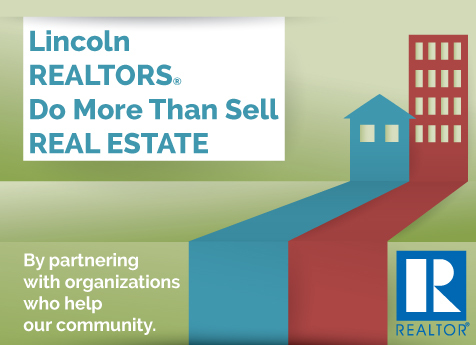 Each year members of the REALTORS® Association of Lincoln donate money and volunteer their time to make Lincoln a better place by participating in a large number of community projects. Recognizing the importance of homeownership for citizens of all economic levels, the REALTORS® Association of Lincoln has made Lincoln/Lancaster County Habitat For Humanity® a top priority. REALTORS® create a golf tournament each year dedicated to supporting the Lincoln/Lancaster County Habitat for Humanity® with an annual donation of $10,000. To get involved, watch for sponsorship opportunities on this website at the beginning of every summer. Make A Difference Day is the largest national day of helping others – a celebration of neighbors helping neighbors. Everyone can participate. To find out how you can be a part of our effort, attend a Community Relations Committee meeting. Lincoln REALTORS® have been delivering Meals on Wheels on Wednesdays for more than 43 years. Each month, a REALTOR® firm takes its turn organizing the delivery volunteers. In 2017 we added a second delivery route to expand our impact for this organization. If you’re interested in helping with the Meals on Wheels Program either on a regular rotation or on a standby basis, please call Tabitha Healthcare Services at 402.486.8589. Lincoln REALTORS® support the Home Buyer’s Assistance Foundation program from the Nebraska REALTORS® Association with an annual bowling tournament. All of the proceeds from the event go to help this nonprofit organization award $250.00 grants to select first-time home buyers in an effort to enhance the success of home buyers in maintaining home ownership in Nebraska. For more information about the grants call 402.323.6500. To get involved in the bowling tournament, watch this website for sponsorship opportunities near the end of each year. Each year, Lincoln REALTORS® participate in the Huskers Helping the Homeless program by being a sponsor and collecting funds for Matt Talbot Kitchen & Outreach. To get involved, attend a Community Relations Committee meeting. Lincoln REALTORS® kick off the holiday season by ringing bells for the Salvation Army. Every year more than 100 REALTORS® participate in this tradition! We will be requesting volunteers at the end of November. Watch this website for where to sign up. Lincoln REALTORS® annually complete a Sock Drive for the People’s City Mission. REALTOR® members and community partners collect new and gently used sock the entire month of February all over town. In 2017, we donated over 8,000 pairs of socks! To find out how to get involved but attending a Community Relations Committee meeting. 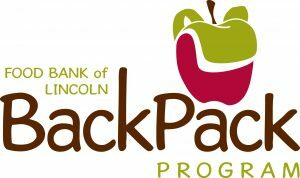 Lincoln REALTORS® YPN Committee creates an annual event to support the Food Bank of Lincoln’s Backpack Program. To find out how you can get involved with this event, attend a YPN Committee meeting.